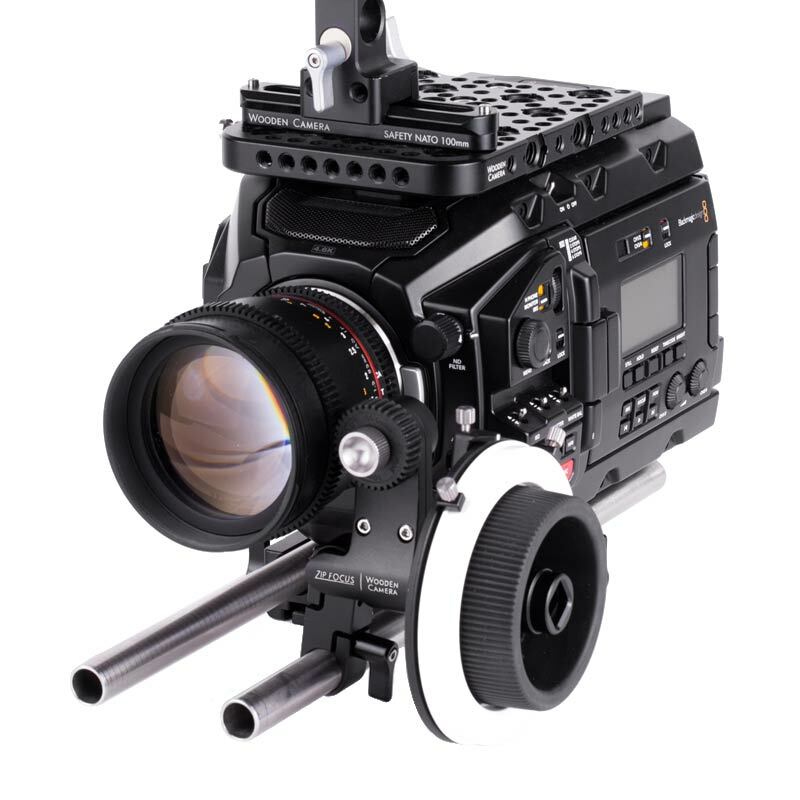 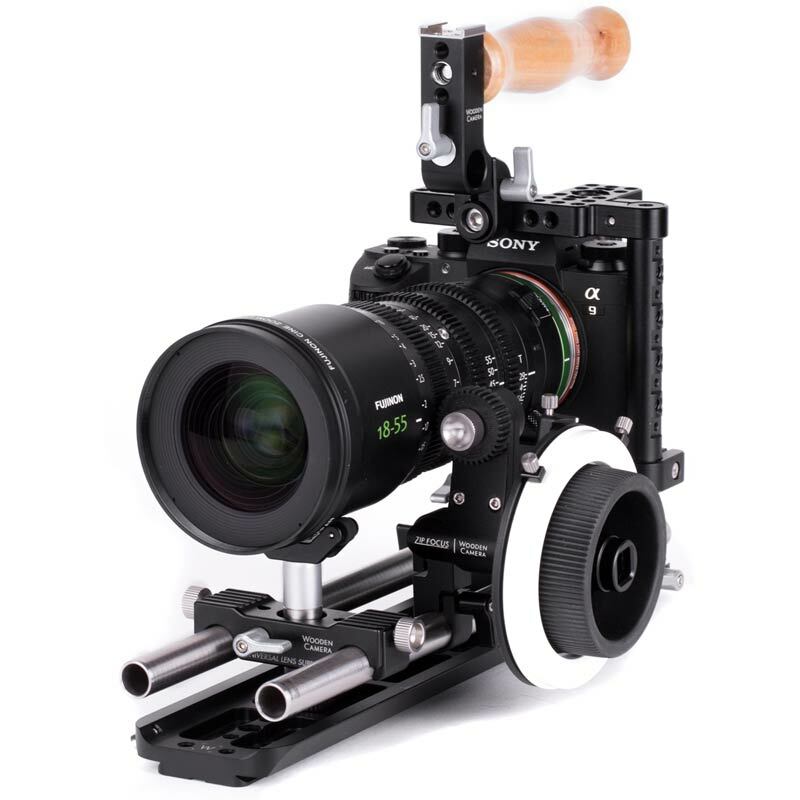 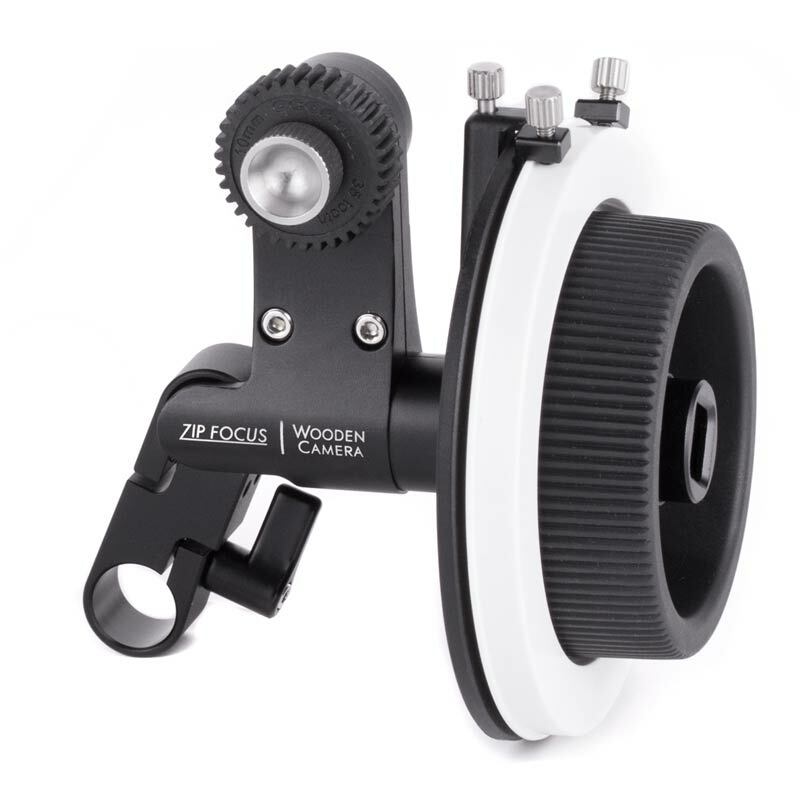 Wooden Camera's new single sided follow focus is built to attach directly to a 15mm lightweight rod and has a gear ratio of 1:1. 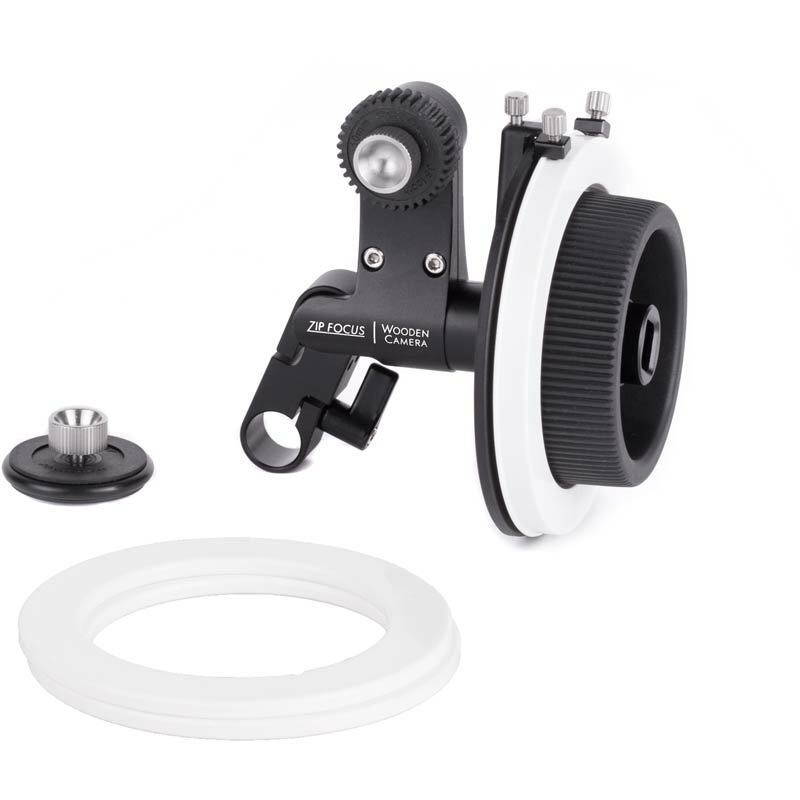 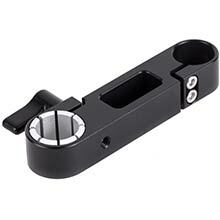 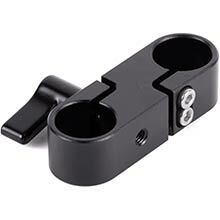 The Zip Focus pivots and adjusts to fit any lens, and utilizes a minimal amount of space. 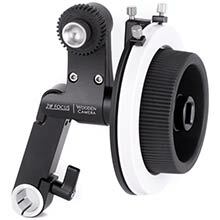 The included .8 mod cine lens gear and friction gear can be flipped to the front or back position which is helpful for compact lens configurations. 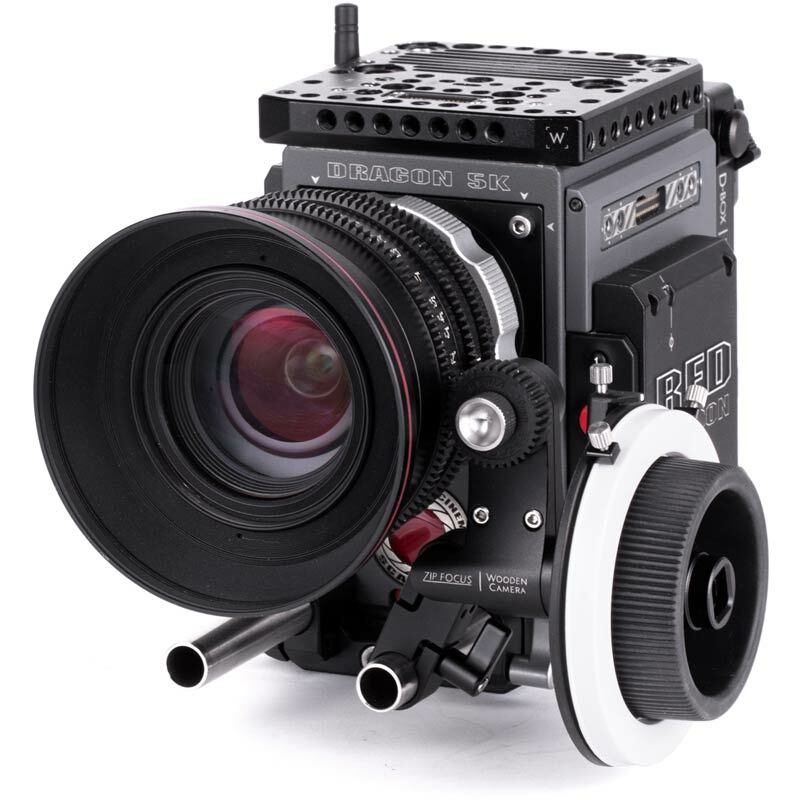 The hard stop disc can be used with DSLR lenses with infinite focus rotation and two standard marking discs are included for cine lenses. 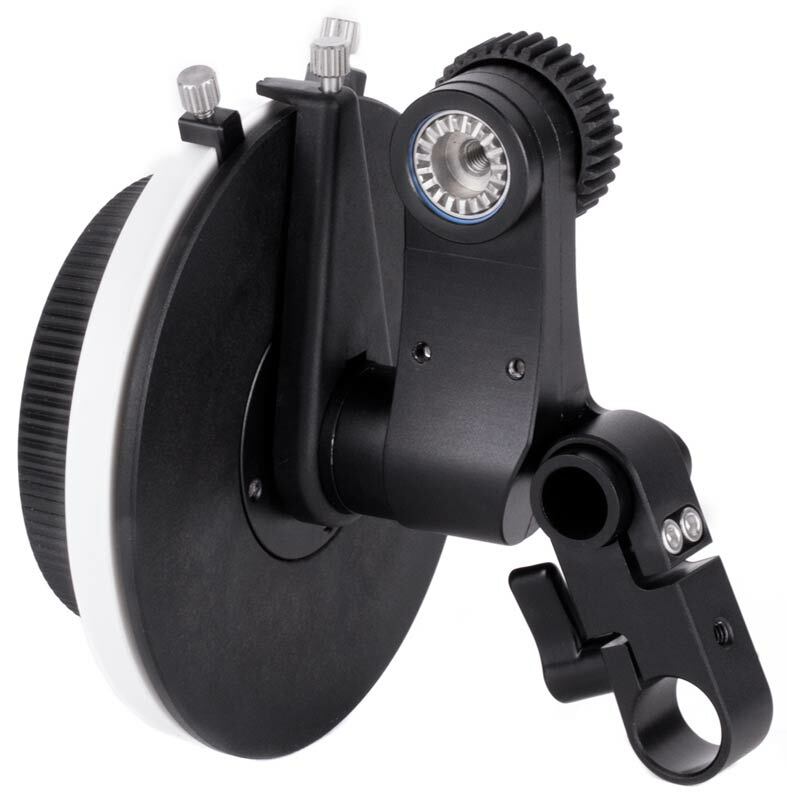 Dimensions: 101.6 x 88.9 x 127 mm / 4 x 3.5 x 5"
Natively compatible with 15mm LW rods.